With all the buzz surrounding Apple’s iPhone 6 and Samsung’s Galaxy Note 4, HTC might be back in town soon with the HTC One Max’s successor. The HTC One Max was the company’s first attempt at a tablet and came with moderate specifications. The One Max came with a Snapdragon 600 and 2 GB of RAM. This was coupled with a resolution of 1920 x 1080 and a fingerprint sensor for authentication purposes. 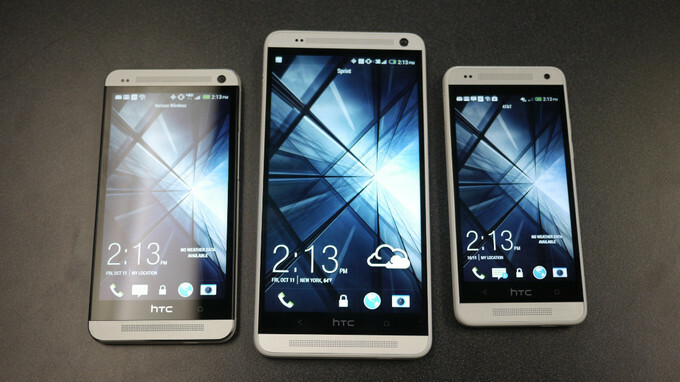 The market response to the HTC One Max was far from favorable. The lack of any information about the device’s potential successor lead to the further speculation that perhaps HTC’s focus was somewhere else. Well, if the rumored specifications of it’s successor are correct, HTC might have a strong phablet contender on it’s hands. According to the Chinese, this device will come with Qualcomm’s Snapdragon 805 capable of 2.7 GHz frequency. On board the 805 is the Adreno 420 GPU with 4K video support. The only devices to feature the Snapdragon are the Samsung Galaxy Note 4 series, LG’s 5.5 inch G3 and the Samsung Galaxy S5. Other specifications for the device are rumored to be 2 GB of RAM and a 3000 mAh battery. Camera resolution will be 18 MP coupled with Optical Image Stabilization. The device will also come with a 5.5 inch screen with a resolution of 1440 x 2560. Given that both Samsung and Apple are facing somewhat troubled waters with their devices, a third strong phablet entry into the market can hope to gather a favorable reaction. With Samsung’s Galaxy Note 4 allegedly facing manufacturing defects and the notorious iPhone 6 Plus with bendgate, times are rocky for both the tablets. The information received nevertheless is still a lowly credible rumor. So let’s see if any developments occur.